← Computer freezing up again. 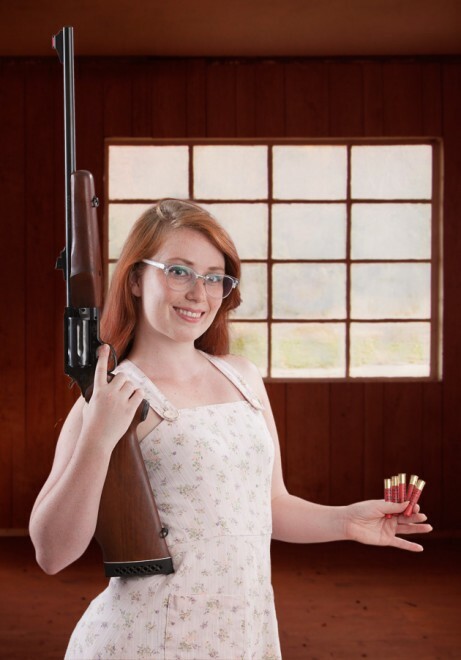 This entry was posted in hunting, rifle, shotgun, weapon and tagged 410, 45Colt. Bookmark the permalink. Interesting article Oleg, thank you. By the by, I have the .44 Mag Rossi revolving carbine. Love the balance and over all length. Do you know if there are any issues with using .44 Special in that rifle? I wouldn’t think so but Rossi makes no mention of it. I haven’t handled one yet but the design of the rifle is very appealing to me. The stock looks very comfortable. I see the versatility of the 45/410 but I like the idea of .44 magnum, especially if I can shoot .44 Special also. You get 1/10″ more freebore, but I suspect the effect on accuracy would be minor. Less recoil, slightly easier extraction also due to shorter case. Sam Colt didn’t sell many of his revolving carbines to a very gun-conscious America back in the post-Civil War day. Henry, then Winchester, built proper carbines, and the concept of the light, lever-action carbine has advanced as propellant and cartridge technology has improved. If you desire better firepower than a lever-gun, buy an semi-auto. There’s really no need to go back to this ancient idea of the revolver/carbine, which, as you say, is a compromise in all aspects, doing neither the 45LC job or the 410-bore job well. If you want rifle/shotgun combos which work, albeit single shots, shop for older Savage Model 24 types. Over the years, they were available in many rifle calibers, at least up to 30-30 Winchester, and shotgun guages up to 12-ga. Savage still makes the gun, now called a Model 42, but it is only available in 22LR/.410. Given the short-range limitations of the Rossi Circuit Judge, a person would be far better off armed with a decent high-caliber revolver and a Savage Model 24, or any field shotgun. With my Colt Anaconda (44 magnum) on my hip and my Savage 24 in hand, I am prepared to defend myself at all carbine ranges out to 100 yards, and put any meat I run across on the table. That’s my definition of versatility. Thanks for the great review Oleg. Very informative, as I had been thinking about getting one of these and wasn’t sure what to make of it. This helped me make my decision. I’ve always thought the .410/.45 Colt combo was a stupid idea. The rifling makes for a doughnut shaped pattern with shot shells and the large jump to the forcing cone isn’t exactly conducive to accuracy in the .45 Colt. On the other hand, one of these in .44 Magnum would make a slick little rifle for hunting in heavy brush. Wouldn’t a basic .223 or 7.62 magazine-fed rifle be more suited for the task? I can get a semi vz.58 for $250 or so. Ammo’s cheaper too, and at least twice as powerful as .44..
vz58 cost about $850 here and it’s not legal in several states. Overall, I agree — a modern rifle would work better for most purposes. On the other hand, 125gr spitzer bullets have less stopping effect than fatter 240-250gr 44Mag bullets, at least up close. HP ammo is legal for hunters worldwide, I believe. Many EU countries ban the HP rounds in self-defense situations, at least on purpose. So.. Americans have no access to cheap semi-auto carbines and rifles? Still, if you correct it for purchasing power, $250 is ~$750 at least in the US. Average monthly wages, after tax are something like $700 hereabouts, and $5 is considered very good blue collar wages. SU16 runs about $500, as do some lower-end AK rifles. ARs start at about $700 and vz58 is more because it’s a non-mainstream choice. And now the panic is dying down, you can pick up an SKS round my way for c. $400- 450. And I suspect it will be back to $350 – 450 depending on manufacturer and condition in another few months – as it was prior to late last year. I haven’t seen a used AR advertised here in the MidWest for less than $900 since November last yet though. If I had the bad luck to be American*, I’d get myself a CMP Garand and an M1. I think that makes one practically ‘set’ where rifles are concerned. *I know the country and people are generally nice. And the nature west of the Mississippi! It’s not so much that they’re despicable assholes. That’s a almost a given in any powerful organisation. It’s just that they’ve had too much money to play with, for far too long. Honestly a lever action in .45-70 would probably be best for that task. Circuit Judge, not Curcuit Judge. Looks like Saysuncle got the name wrong as well … or he was being ironic and hip. Fortunately we have a very wide spectrum of firearms from which to choose. I have guns that I can’t really justify in any practical sense, yet here they are. I like them. Ok, so I just think they’re cool. I don’t need a good reason. If someone likes the circuit Court Judge, they should buy it. You’d can find a good use for it later.